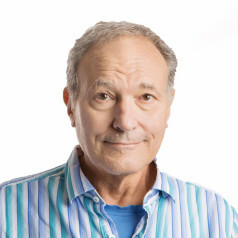 In the August 2015 edition of Voice Coil, Mike Klasco provided an industry update on the industry trends regarding voice coils. He starts with a look at the business side of speaker manufacturing and discusses new voice coil, collars and wire materials. 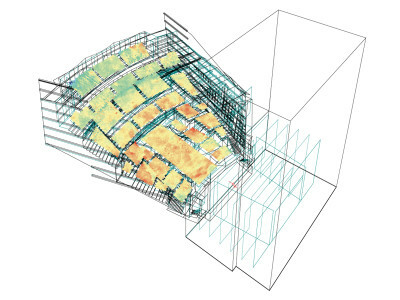 The article also provides an insightful look-ahead on this critical part of speaker design. Let’s start with the business side of voice coils. Most North American speaker manufacturing has moved to the Far East, creating an attrition of domestic speaker parts suppliers. Long-established big and small voice coil winders—including Acousta-Coil, Krenz, Precision Coil, AV Coils, and Meisei—no longer exist. 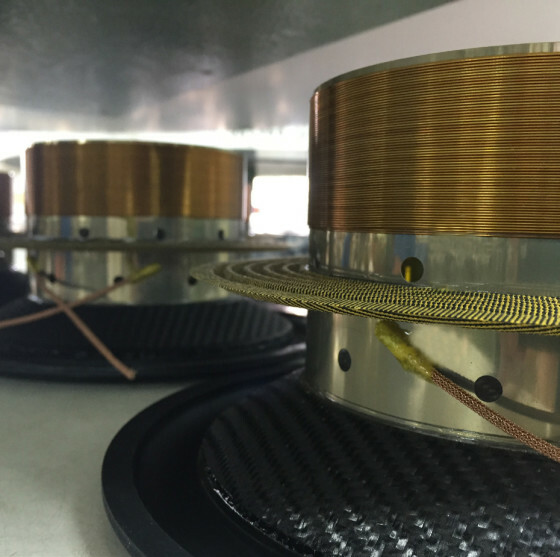 Photo 1: A voice coil with an aluminum bobbin (Photo courtesy of Precision Econowind). In discussing “the state of voice coils,” I thought who better to talk to than Jon Van Rhee of Precision Econowind. 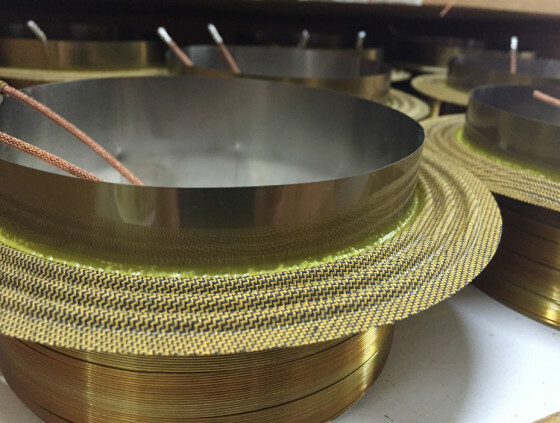 As the last voice coil winder in the US, Precision Econowind was astute enough to partner with Po Yun for tonnage automotive OEM coils while keeping the high-performance flat wire coils in-house. 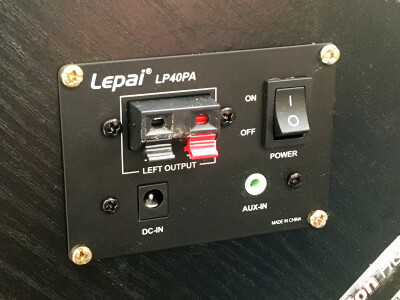 During the last five years, the Asian coil winding industry was turned upside down due to the shrinking autosound aftermarket, home theater, and whole-house audio markets, and the automotive OEM autosound business. Also, when copper prices kept rising, the strongest companies bought huge inventories of wire only to have the price drop back down. In preparing the directory of voice coil winders some of the listings include established firms hanging on by their fingertips. However, there are a lot of new businesses in the China voice coil industry and at least some of the well established companies are still strong. 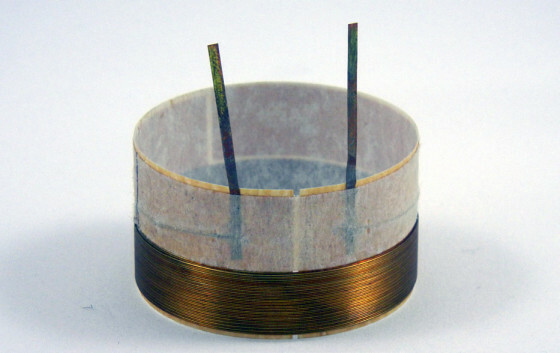 Photo 2: A voice coil made with a Kapton bobbin (Photo courtesy of Precision Econowind). 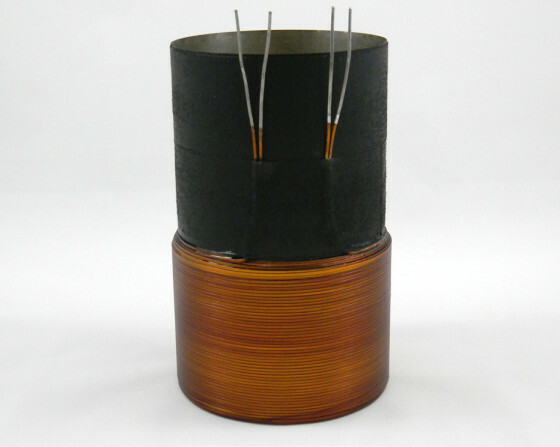 Bobbins — Morel introduced a range of high power speakers with titanium voice coil bobbins (see Photo 4). Titanium is appealing when compared to aluminum because there are less eddy currents and half the thermal expansion. While titanium is 60% heavier than aluminum, it is also much stronger. Titanium enables manufacturers to use a thinner gauge titanium bobbin and still have greater strength and a lighter bobbin than with aluminum. 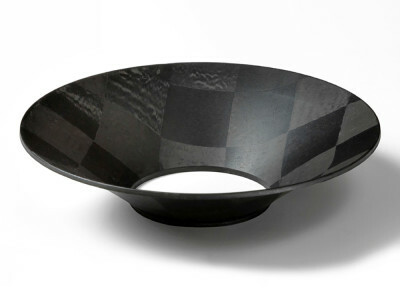 Toray (TIL), Perco, and other vendors of composite bobbins continue to find acceptance for polyimide resin glass and epoxy resin glass fiber bobbin materials, mostly for use in subwoofers. The latest polyimide thermoset film bobbin materials (e.g., DuPont Kapton E, Ube UPILEX-S, and Kaneka’s Apical) offer some performance enhancements. I should also mention that SKC from Korea has joined the thermoset polyimide film game. The Chinese polyimides are unbeatable in price but they are thermoplastics and lack the high-temperature integrity of the polyimide thermosets that are ideal for highperformance voice coils. Collars — The supply of meta-aramid spun lace Nomex for collars has been inconsistent, but now seems stable. Teijin offers its Conex meta aramids and a few Chinese vendors (e.g., Metastar and X-Fiper) have joined the supply chain. IPT 3M is known for its Tufquin, but now has higher temperature materials useful for collars such as Cequin 1 and 3000 and Thermavolt inorganic papers. Wire — There is an ongoing trend among users of single-layer ribbon wound on edge wire who are shifting to multi-layer square wire to speed up production and eliminate the failure modes of flat wire single-layer coils. Goto Japan offers square wire voice coils and provides square wire to other coil winders. 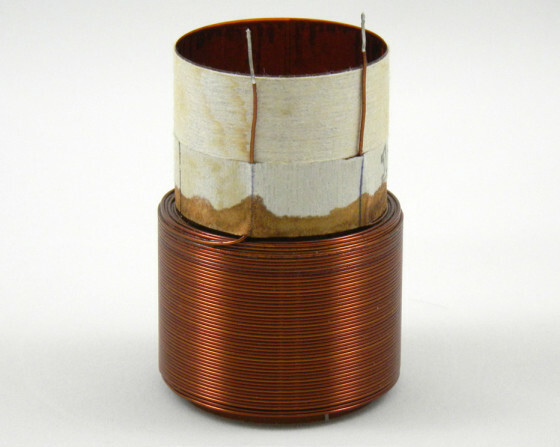 Photo 3: Here is a voice coil made with a Nomex bobbin. (Photo courtesy of Precision Econowind). Still in stealth mode are super high-power polyimide enamel insulation coating, adhesives, and related special winding processes for the magnet wire (voice coil wire), which has been the “Achilles heel” for high-temperature operation of voice coils. Another refinement is a new alloy for voice coil wire conductors. Until now, there have been only a couple of options—copper, aluminum, and copperclad aluminum. Because of its superior conductivity, annealed copper is the international standard to which all other electrical conductors are compared. Yet, the copper alloy typically used can be tweaked to lower the temperature coefficient of resistance (TCR). The temperature dependence of electrical resistance and of the Thiele-Small (T-S) parameters has to be taken into account when considering implications for power compression to voice coil outside diameter when the coil is running hot. The temperature dependence of copper and aluminum conductors is significant when used in smartphone microspeakers or ringtones, speakerphone operation, or concert speakers. Pure copper in its International Annealed Copper Standard (IACS) as 100% IACS = 58 MS/m at 20 °C, decreasing by 0.393%/°C. Aluminum has 61% of the conductivity of copper. An aluminum conductor’s cross-sectional area must be 56% larger than copper for the same current carrying capability. The need to increase the thickness of aluminum wire is a consideration in its use in tight voice coil gaps—especially as it expands more than copper voice coils when hot. 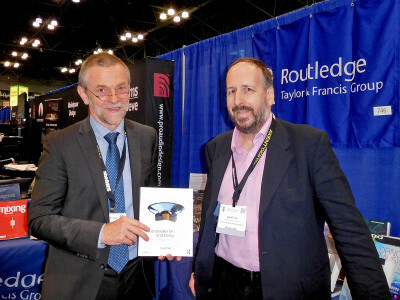 This article was originally published in Voice Coil, August 2015. Photos 4a-b: This is the new Morel 5” diameter titanium former/spider assembly for the TiCW subwoofer line. (Photos courtesy of Morel).